Have you ever had the feeling that something isn’t quite right? When you have this feeling, your intuition is waking you up. Sometimes we get this feeling and we either don’t know what to do or we avoid it as we fear the outcome. It is important right now to pay attention to this feeling and move into a space of listening. If you are unsure, be silent and listen. 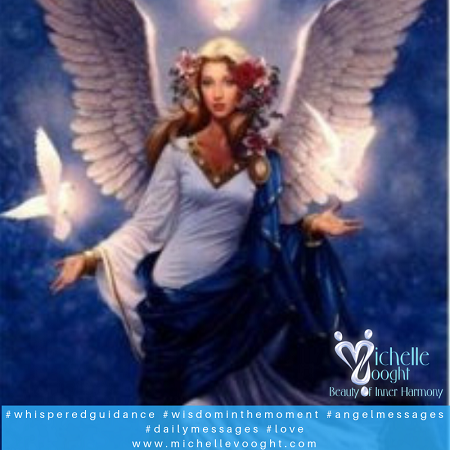 Ask Archangel Haniel to assist you to sharpen and trust your own intuition. Allow your emotions to become still with meditation. Sometimes we are guided to what is hidden for us to move to place of understanding and harmony. Trust your intuition, face your fears and grow stronger, when this happens it only means that we are guided to look at things differently or there is an alternative course of action. Don’t run away from this or avoid it – rather move into a space of trusting yourself and having the faith that everything works out for the highest good. Archangel Haniel assists us with manifestation, meditation and intuition. She can guide us towards developing our psychic abilities and when we have questions about what is unknown or unresolved and your dreams. Call upon Haniel for help in understanding situations that are troubling you or when you seek clarity.